Formosa Punk is set release the new 7” from Mark Mulcahy. 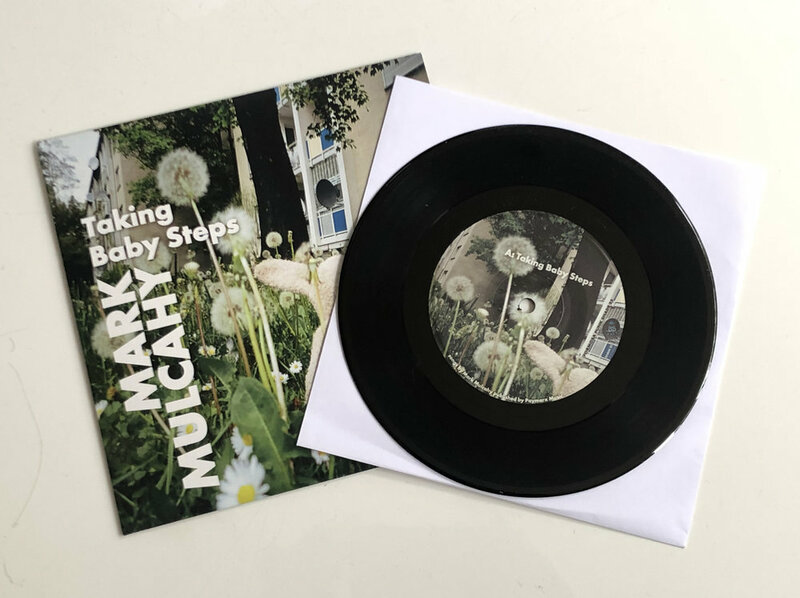 “Taking Baby Steps,” the first single from MM’s new album ‘The Gus’. The vinyl single will be out on April 12 in Japan and the rest of the world. Baby Steps in a syncopated slice of confusion and power chords. The video has Mulcahy handcuffed in a cornfield to his interstellar boyfriend while they try to find a happy place on earth. The b-side is ‘Put Me Out of Your Mind’, the story of one mans misguided view of his love life. It features a grumbling Mulcahy and the great J Mascis on lead guitar.